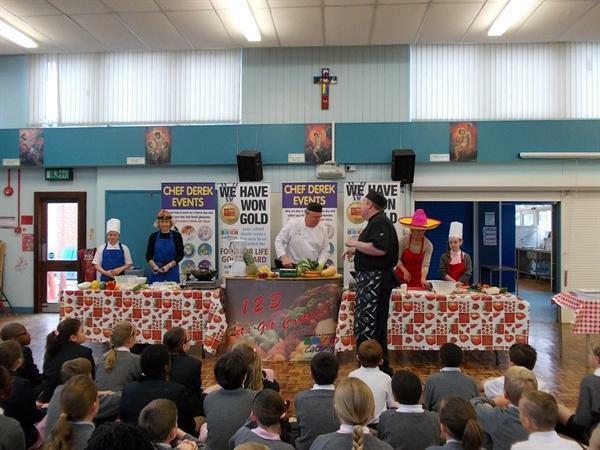 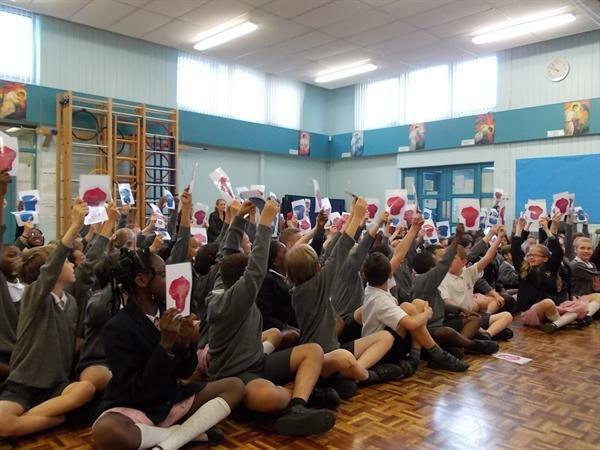 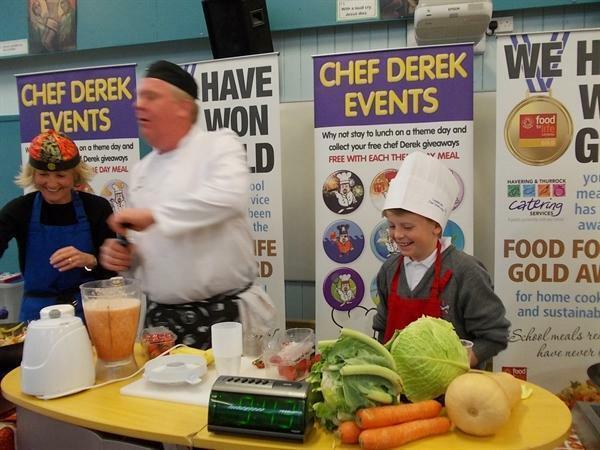 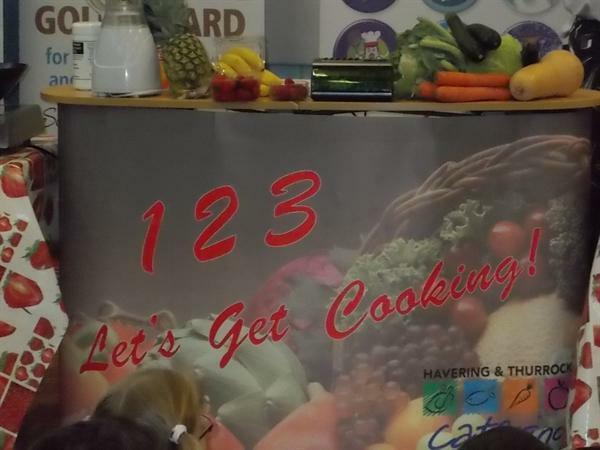 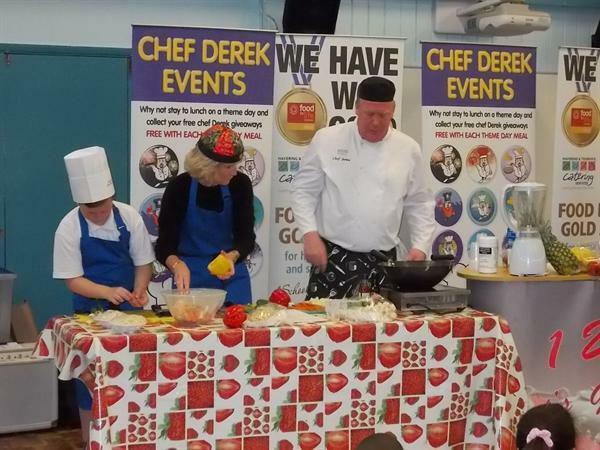 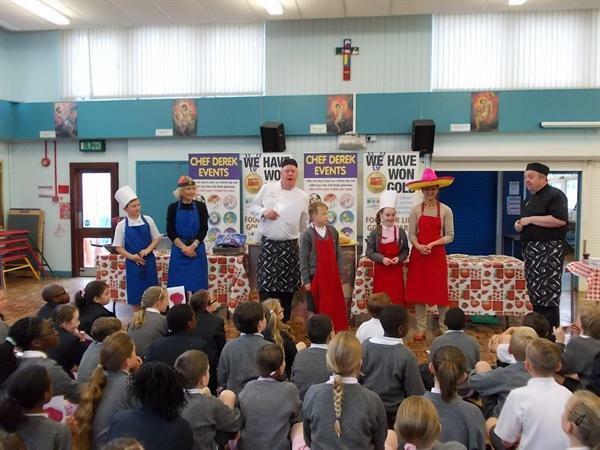 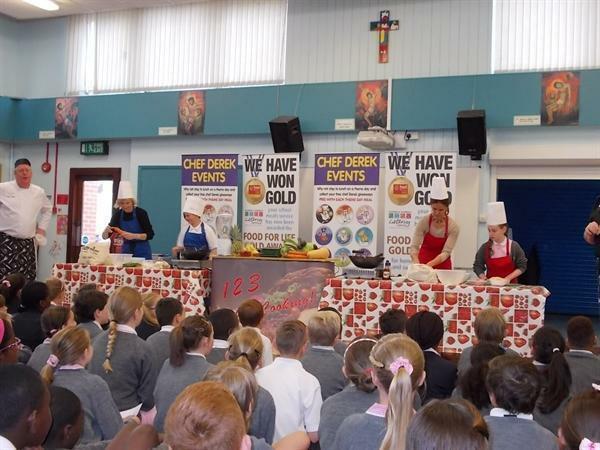 Our Year 5 children thoroughly enjoyed seeing Mrs Ward and Mrs Ignatov competing in our Ready Steady Cook event which was led by Chef Jamie and Chef Derek from Thurrock and Havering Catering Services. 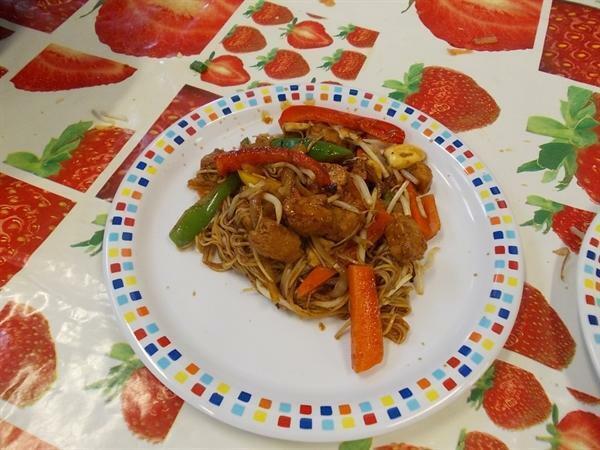 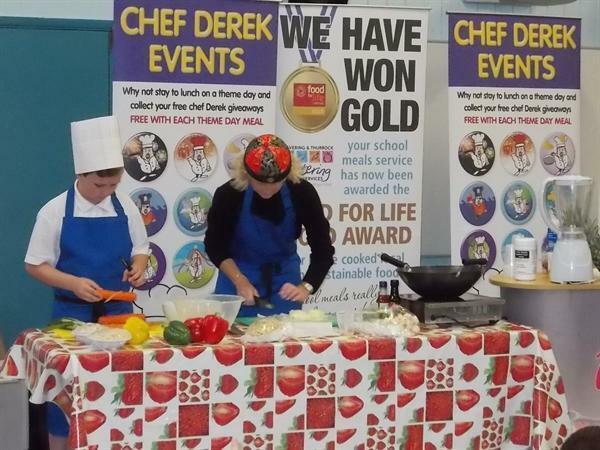 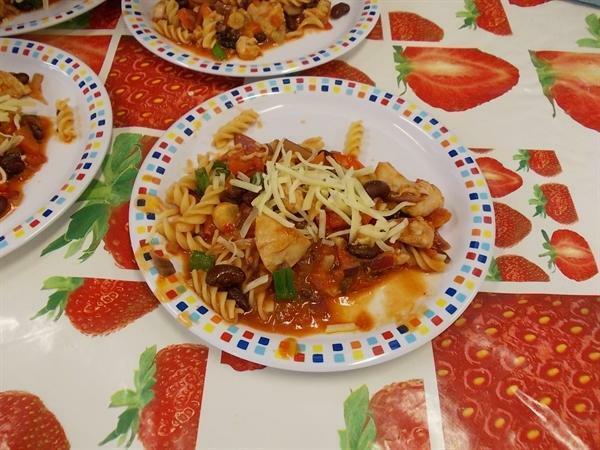 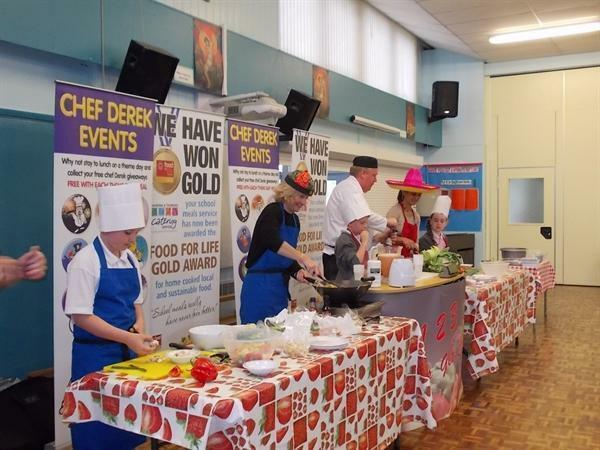 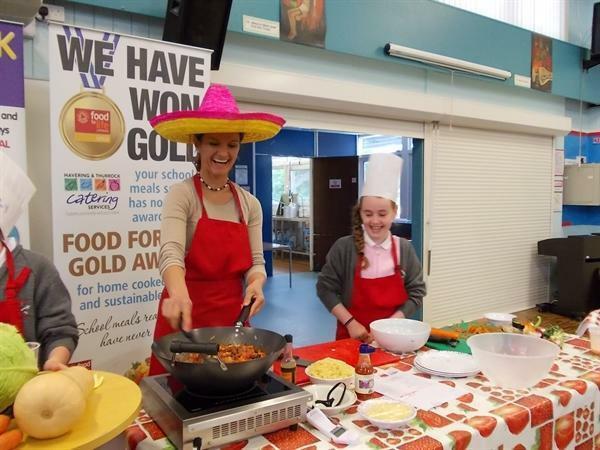 A small number of parents witnessed Mrs Ignatov and Mrs Ward, ably assisted by two professional chefs and two sous chefs – Conor Petrozzi and Brooke Brady, attempting to cook Chilli Chicken with pasta and Quorn Chow Mein. 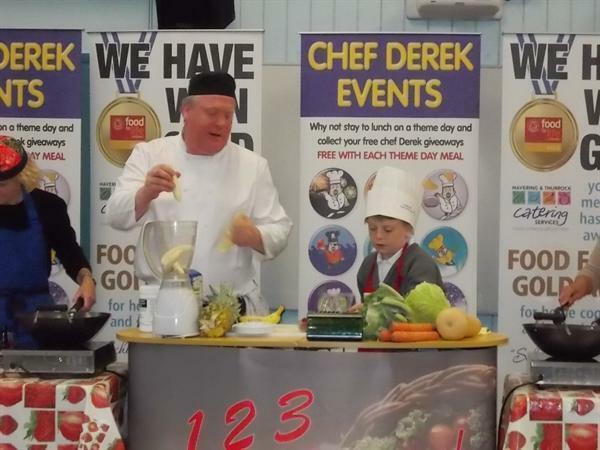 Aidan Mahoney helped to create the fruit smoothies. 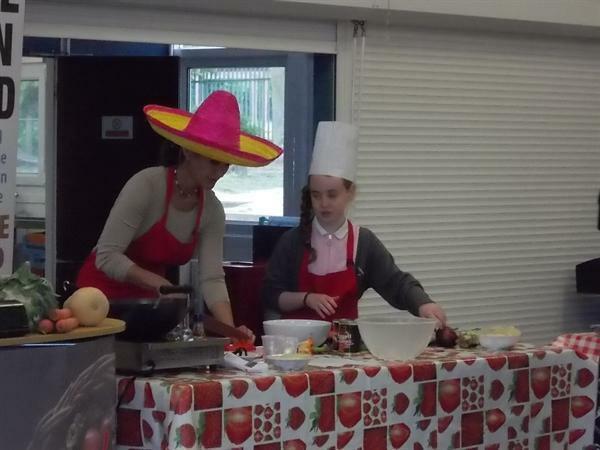 Please take a look at some of our photos below.